In addition, Nominum provides dedicated 24 x 7 support and continuing innovation. Read Nominum's blog post about the combined benefits of speed, ROI, and eco-friendly DNS. 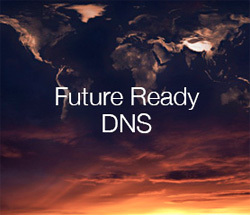 Request the ROI calculator to see how much you can save with Future Ready DNS. Local Time: Tuesday, April 23, 2019 09:32 PM PDT – Page Load: 0.2537 Sec.